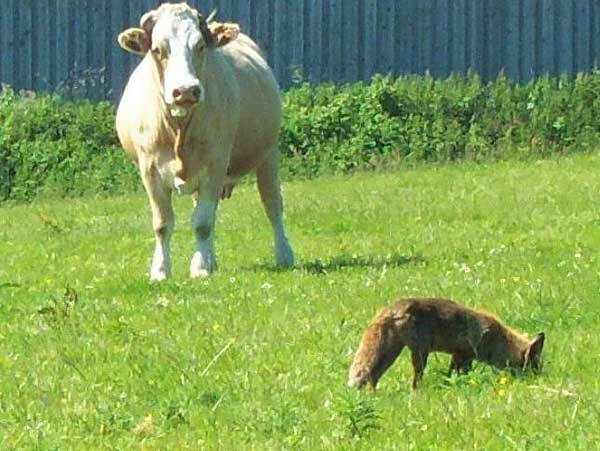 Most farm animals live out in the fields through the summer. You will see sheep, cattle and pigs, and sometimes goats and flocks of chickens in the fields around Cornwall. 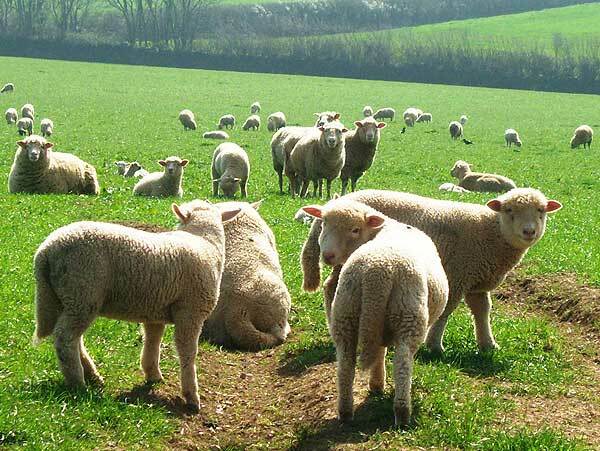 The grazing animals tuck in to the rich green grass and lie down to rest in the sunshine. The manure (dung) they produce falls in piles in the grass. These dung piles provide the perfect home for invertebrates like beetles and earthworms, where they feed and lay their eggs. With their help the dung is gradually broken down and washed into the soil, providing nutrients to make the grass grow. Small mammals like shrews and moles live in and under the grass. They feed on the beetles and earthworms, as do foxes and badgers. 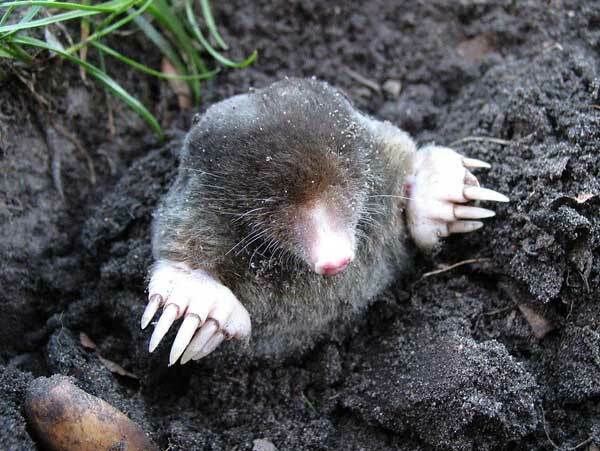 Moles are solitary creatures and rarely seen above ground. Fresh piles of earth are pushed up to the surface as they dig their tunnels underground. 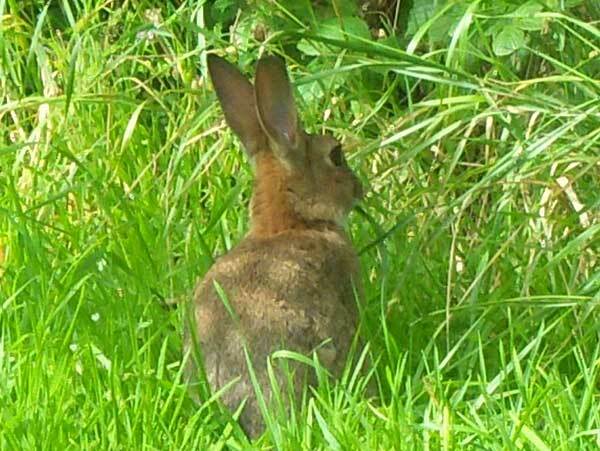 Rabbits, field mice and voles feed on the grass and the seeds it produces. This fox isn’t bothered about being watched while he’s busy hunting for food. Vegetables are an important crop for Cornish farmers, particularly in the west of the county. Cauliflower, potatoes and cabbage are grown all the year round and many hectares of land are planted with these crops to supply the big supermarkets as well as to sell locally. 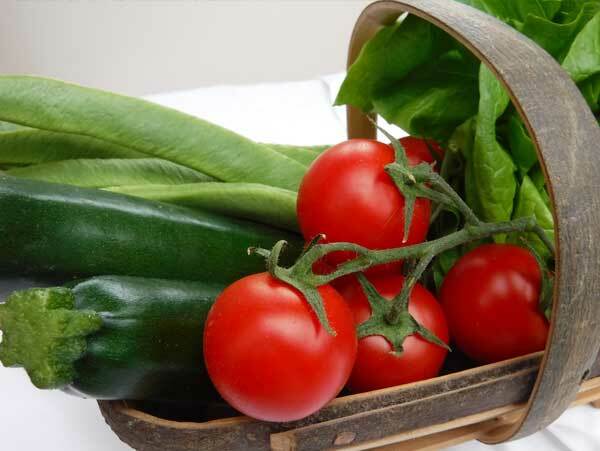 During the summer months we can look forward to other locally grown vegetables such as asparagus, courgettes, lettuce, runner beans, broccoli and tomatoes. 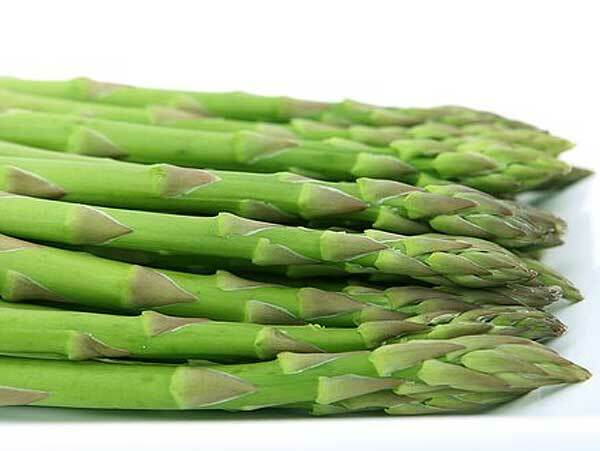 These are grown in smaller quantities and you are more likely to find them on sale at farmers’ markets or in farmshops. 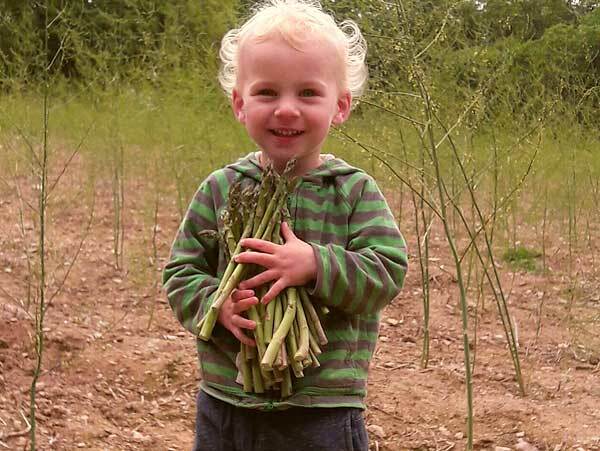 The asparagus ‘season’ is short, from April to the middle of June. The spears are harvested by hand as they appear above ground. 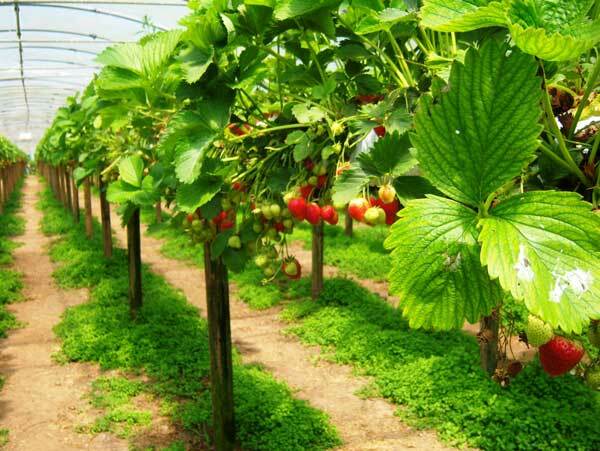 Traditionally a summer fruit, strawberries are now often grown in poly tunnels on ‘tables’ to reduce the chance of damage from bad weather and slugs. This method of growing them means Cornish strawberries are now available from spring to early autumn. 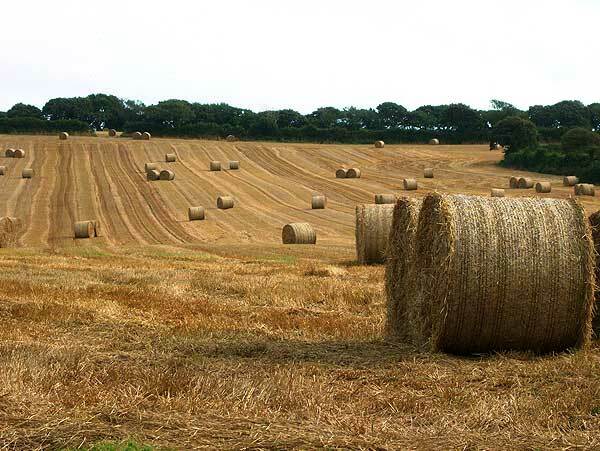 For Cornish farmers the cereal harvest starts in mid July. 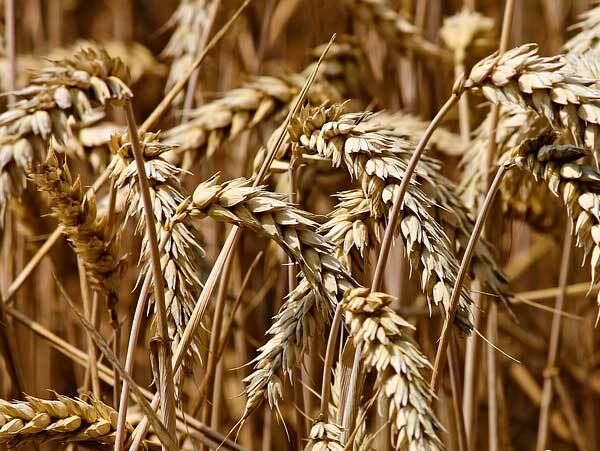 Wheat and barley are the most commonly grown cereal crops in Cornwall. Wheat is sown in the autumn or early spring. When the shoots first appear it looks just like a field of grass. As it grows each shoot produces a stem which grows to a height of about 60cm. At the top of each stem a seed head emerges that is called an ‘ear’. The ear contains about 40 grains or seeds which will yield flour when ground up. When the crop is golden yellow and fully ripe it is time to bring in the combine harvester. 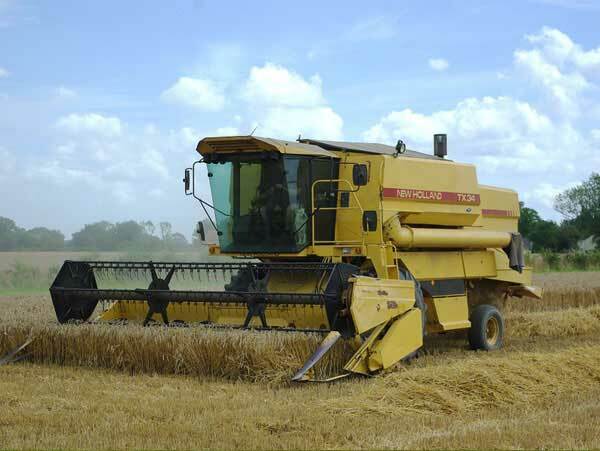 The combine cuts down the crop and separates the grain from rest of the plant. The grain is collected and the straw, the stem of the plant, passes through the machine and is dropped on the ground behind it. 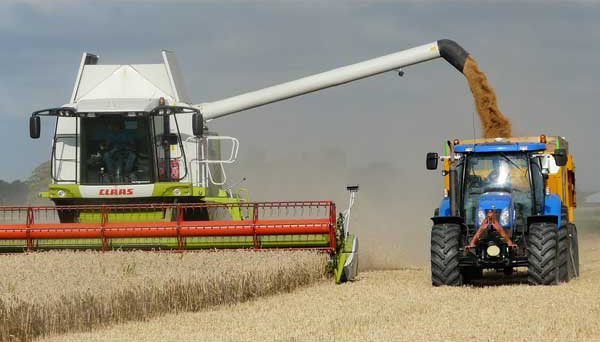 The grain is off loaded into a trailer which is driven alongside the combine while it continues to cut through the crop. When one trailer is full, another one takes its place. The loaded trailers are driven back to the farmyard where the grain is tipped in to the store. 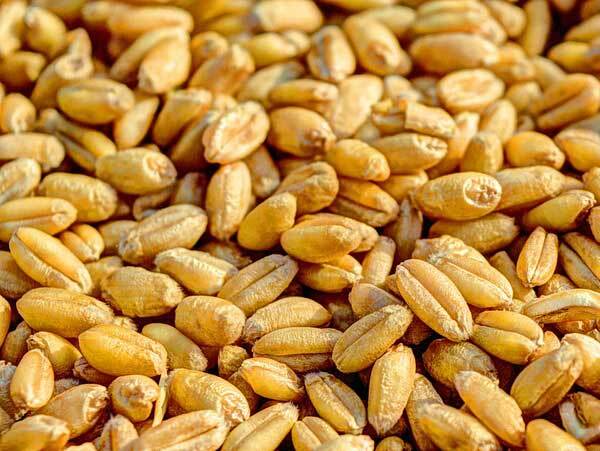 A good spell of sunny weather is needed for harvesting so that the grain is dry enough to store into the winter. If it is too wet, the grain will heat up and start to sprout in the store and it will be of no use. Sometimes there is just not enough sunshine and farmers must get on and harvest their crops as best they can. Then the farmer will use a grain drier which blows warm air through it, a bit like a hair drier. Back in the field, the combine has left the straw in tidy rows across the field ready for baling. As the baler is driven up each row, it picks up the straw, rolls it up tightly and ties off each bale with string or net. Once it is baled the straw can be safely left on the field for a time as the tightly packed straw in the bales will stay dry even if it rains – like a cottage with a thatched roof.